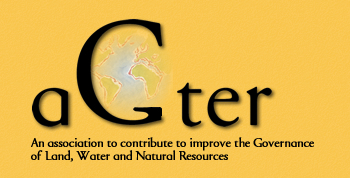 Do you wish to receive announcements for aGter's thematic meetings ? Based on an in-depth analysis of several contrasting agricultural regions, this book aims to assess South Africa’s on-going agrarian reform and the country’s agrarian dynamics. The conclusion is without doubt: Twenty years after the first democratic elections, the country’s land pattern remains almost unchanged, and primary agriculture and its broader value-chains are more concentrated than ever. Without fundamentally questioning the highly specialised, fossil energy and synthetic input dependent, oligopolistic entrepreneurial agricultural production model, which is presently structuring the sector and is guiding the reforms, a more equitable redistribution of resources and value-addition will by no means be possible. This book examines and contributes to the structural questions that underpin the current stagnation of South Africa’s agrarian reform. Presenting fresh approaches in analysing agrarian issues and tools to assess farming systems and agricultural development, this incisive study will be an important resource to policy makers, academics and those with an interest in agrarian reform. What does it mean to reverse decades of racial injustice in access to land and productive resources, and to deal with a legacy of concentration and inequality? Can South Africa, which presents itself as the ‘development state par excellence’, succeed in the transition to more sustainable types of farming and to more localised food systems? The answers provided in this book will be of interest not only to all those interested in the South African experiment, but also to those who, in all regions, are questioning the mainstream agrifood regime and asking how it can be transformed. Chapter 3 Analysing productive processes and performances of agriculture at local scale in South Africa: How to proceed? Chapter 12 Contract farming and strategic partnerships: A promising exit or smoke and mirrors?